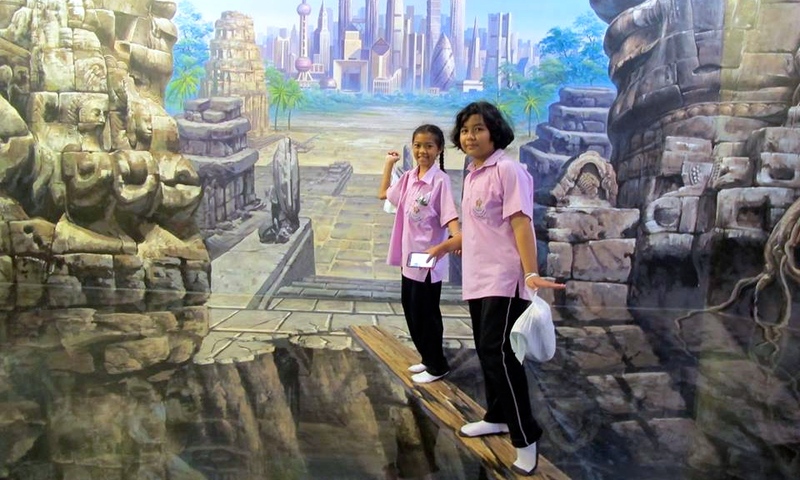 Now everyone can have fun and enjoy 3D art in Bangkok. 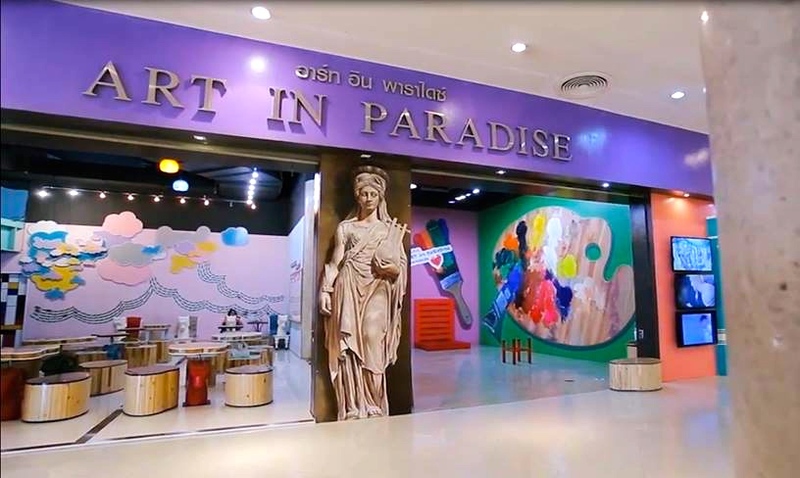 Get ready to be dazzled by magnificent masterpieces in Art in Paradise Bangkok. 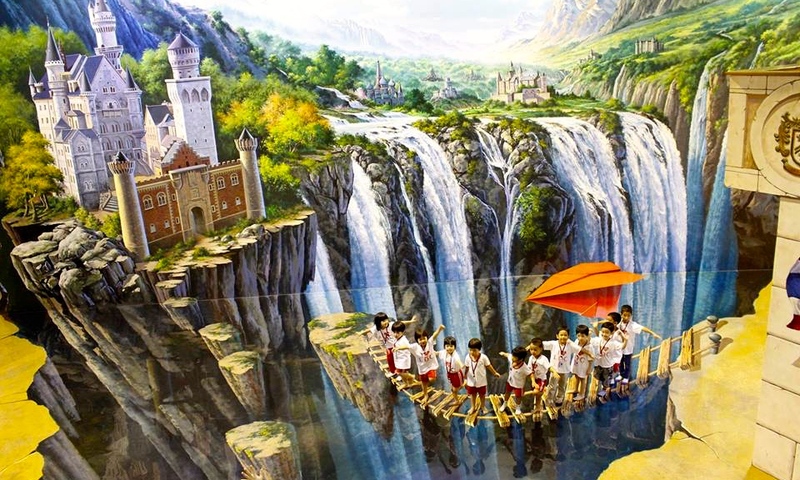 Art in Paradise Bangkok is an interactive art museum with 3d paintings which claims, to be “entirely beyond the classical concept of paintings. No two experiences are ever the same in Art in Paradise because each piece of art gives a different perspective for everyone. It’s best that you should come early to avoid crowds so you can have lots of energy to pose against the backdrop of various wall paintings. When you go there, make sure you got plenty of time with you. Arm yourself ready with fully charged camera and a companion to take photos with you because there are various fantastic gems inside the museum. An amazing and colorful place ready to take your breath away, it’s magical hues and 3d designs are just waiting to be captured. In order to make the most of your photo taking time in Art in Paradise, there are some photo points where you can stand exactly in order to get the best angle for optimum results before you click your camera. For more stylized results of your images, there are some examples at the sides of the paintings on how to pose against a magnificent work of art. So you can either blend well or stand out against a stunning work of art behind you. It is always advisable to turn off your flash when you take photos in reflective walls since this could diminish its realism. Me and my friend thoroughly enjoyed our stay there. Because it’s only the two of us, we took turns on her camera and we each had our own solo moments with whatever paintings that we fancy. 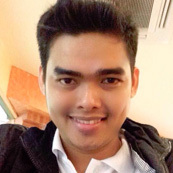 Good thing, there were some nice staff who accommodated some of our little requests of taking our photo together. 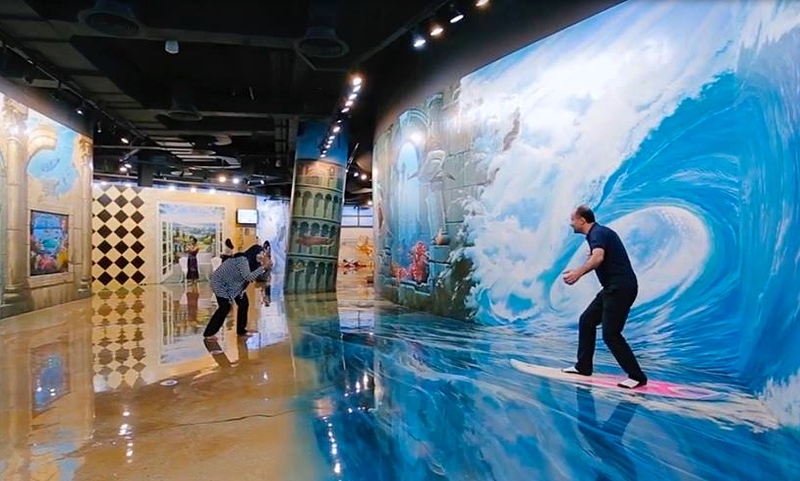 We took picture surfing the wave (even if our outfits didn’t match the backdrop); posed with Vincent Van Gogh, and the one with the legendary Mona Lisa! My friend was most creative in her poses as if she was acting in a movie as part of a movie scene. She was definitely enjoying the moment. But perhaps our most favorite part of all is being on the cover of Time magazine. It is simple yet striking, as if you’re a VIP. With its clean but unmistakable background, you can have your own way and with its headline: “The Best Style in the World”, you’ll be pressured to be stylish in your pose. But alas, time was not on our side as we had to leave soon only to find out that there are even more fascinating paintings on the second floor. 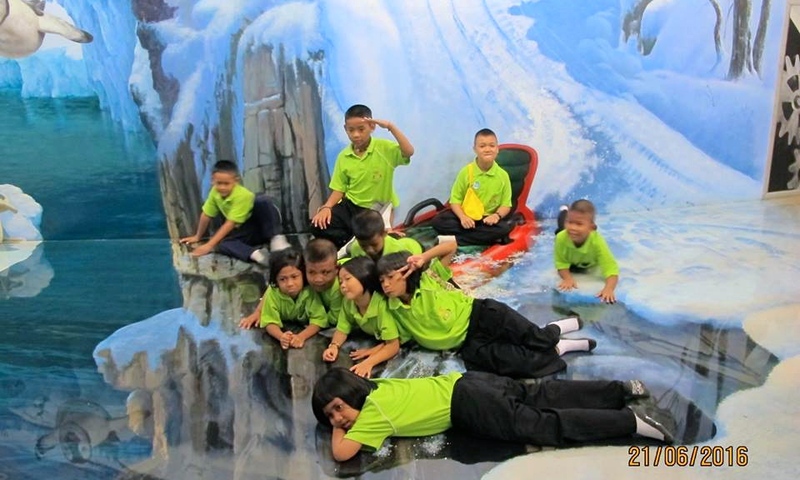 All in all, Art in Paradise always surprises and amazes its visitors and we were not spared from the magic it weaves.